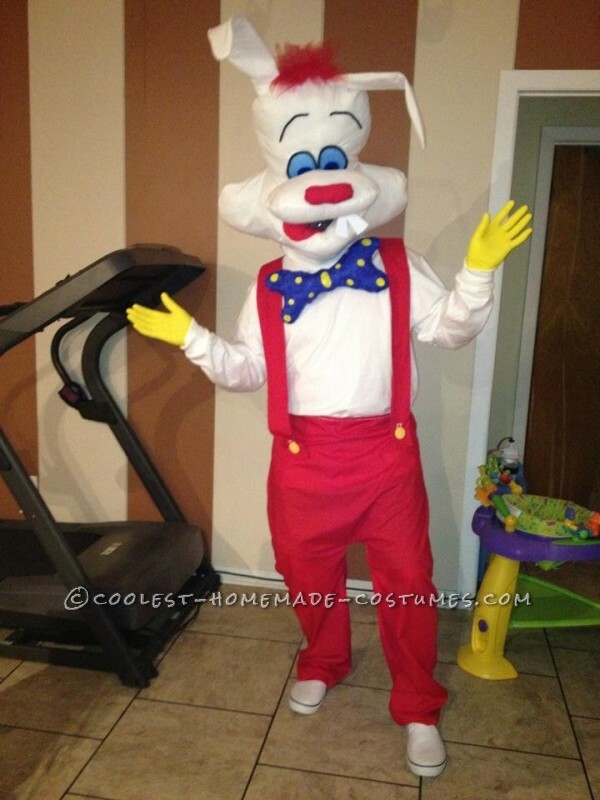 Here is the Roger Rabbit costume we made and made and remade until it finally turned out like this! 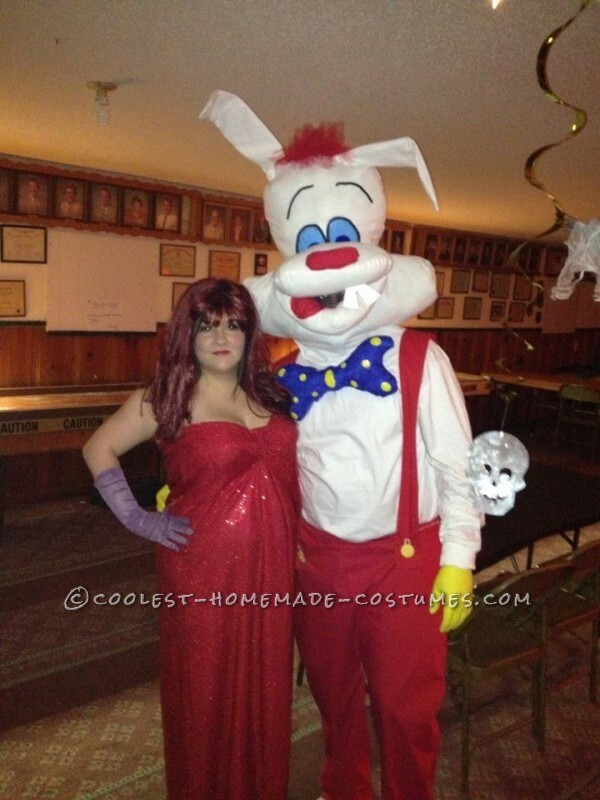 The outfit is made out of red material and a white long sleeve t-shirt, and the head is made out of white and red material, red tulle for the hair, hangers wrapped in material for the ears, broken up clown glasses as the eyes, pipe cleaners for the eyebrows and around the eyes and stuffing for inside the head. Oh and deco mesh for inside the mouth where you can lift it up for air or to eat out of. My sister and I made this and could not be more happy with the way it turned out.